Antoine Davis has re-signed with the San Francisco FlameThrowers for the 2018 season. Leading the way as the supreme stopper on a field that is wider than the political discourse between the red and blue states, Davis was our wall against the deep shot. He finished his first season with the franchise with 21 assists, 41 goals, 23 blocks, and an AUDL title. After a successful rookie campaign we are proud to announce that he will be playing with the Flamethrowers the next two seasons as a pillar of our team. Always looking to streak deep after the block, Davis was the 2017 MVP of our defensive unit. He even managed a SportsCenter Top 10 play. Expect more reps on the offensive lines, and look for this dynamic player to have another breakout season as a two-way player in 2018. Not only is Antoine a top performer on the field, he is the official team trainer through his own personal business AD Sport Performance. Dedicated to working with and improving the best athletes in our sport, we look forward to seeing what he can do over the next two seasons with the FlameThrowers. 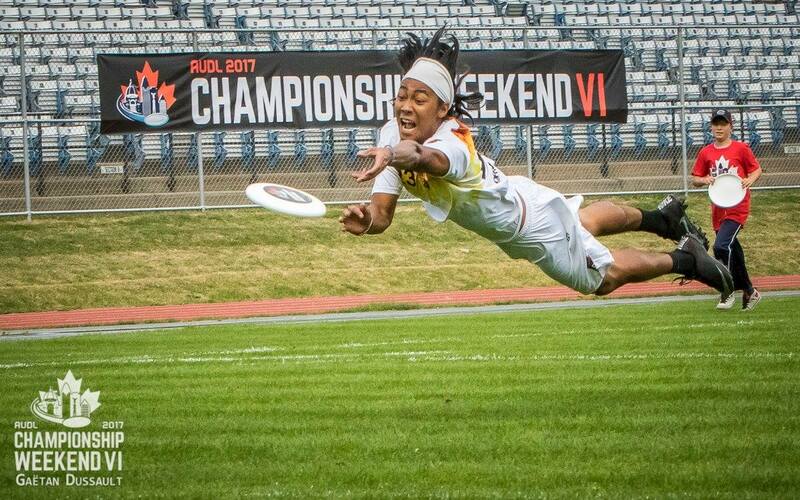 San Francisco FlameThrowers are a professional ultimate frisbee team in the AUDL West Division. We are the reigning AUDL champions.